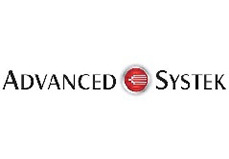 Avendus Capital advises Advanced Systek on sale of majority stake to GE. Advanced Systek, the Vadodara based leading player in terminal automation and metering skid solutions in India, today announced the sale of a majority stake to GE. The current shareholders and GE have entered into agreements pursuant to which the promoters of Advanced Systek would continue as directors in the combined entity and work with GE to grow the current business. Advanced Systek Pvt. Ltd. (AST) is the market leader in providing Terminal Automation systems and metering skids in India, with a growing international presence. With project management expertise and specialized knowledge of the Oil & Gas measurement industry, AST provides total solutions to customers, allowing them to accurately measure, automate and control the distribution of their products from refineries to the end users AST's automation systems provide solutions for pipeline transfer/storage & distribution of chemical, petrochemical and petroleum products in road tankers, rail wagons and barges at distribution depots, marketing terminals, refineries, ports, and retail outlets in India and abroad, most of which operate 24 hours a day. Systems include electronic flow measurement devices and automation software that control and account for every drop of product that is moved into and out of the terminals, whether its by truck, railcar, marine vessel, or pipeline. Avendus Capital is a leading financial services firm which together with its group companies provides customised solutions in the areas of financial advisory, equity capital markets, alternative asset management and wealth management. Avendus Securities through its Institutional Equities practice is able to offer clients best-in-class research-driven advice to help them take investment decisions, while Avendus PE Investment Advisors manages funds raised from its investors by investing in public markets. The Group relies on its extensive track record, in-depth domain understanding and knowledge of the economic and regulatory environment, to offer research based solutions to its clients that include institutional investors, corporates and high net worth families. Avendus Capital has consistently been ranked among the top-five corporate finance advisors in India and has emerged as the advisor of choice for cross-border M&A deals and has closed 36 cross-border transactions in the past 4 years. Headquartered in Mumbai, the firm has offices in New Delhi and Bangalore. Avendus Capital, Inc (US) and Avendus Capital (UK) Pvt. Ltd. located in New York and London, respectively, are wholly owned subsidiaries offering M&A and Private Equity syndication services to clients in the respective regions.